First, I had to clarify “vegetarian” from “vegan” and this person was a “vegetarian” so wasn’t an extremist. She stated that I could use dairy products like ricotta cheese and could even use eggs if needed so it seems that my life was going to be pretty easy. Well, as I tend to do, I had to take it a few steps further which I will explain a little later. So, I left work, rushed to the store, and began shopping for what I figured was actually going to be a somewhat good lasagna… Words can not even express my surprise with the final result but I’m getting ahead of myself. In this particular post, I’m not really trying to provide a recipe, I’m only giving you the basis for what I did while telling you about my experience. This post might just serve as a really strong foundation for anyone interested in making a veggie lasagna at home. Being the person that I am I couldn’t resist throwing the veggies on the grill, since I wasn’t going to have any meat I needed to at least have a familiar taste haha. 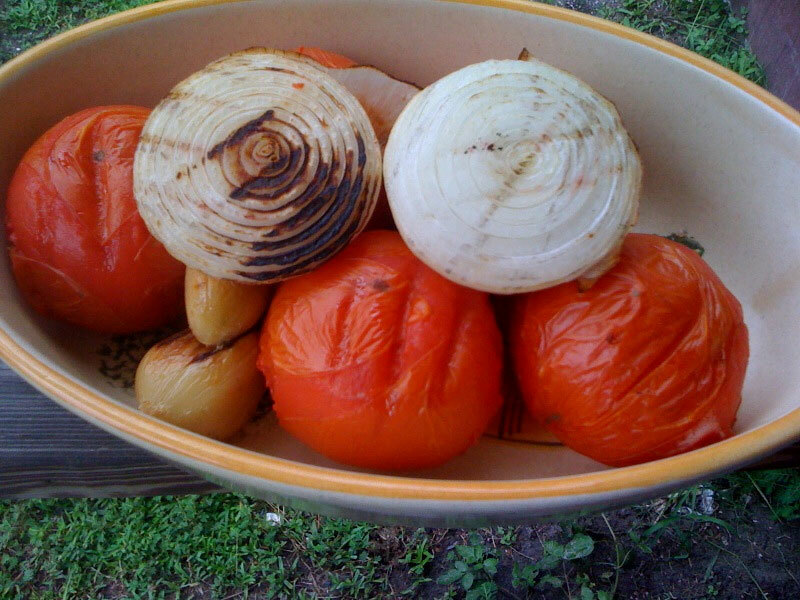 So I began with the tomatos, garlic, and onions and grilled them just long enough to start to sweat and get some of that grilled flavor. 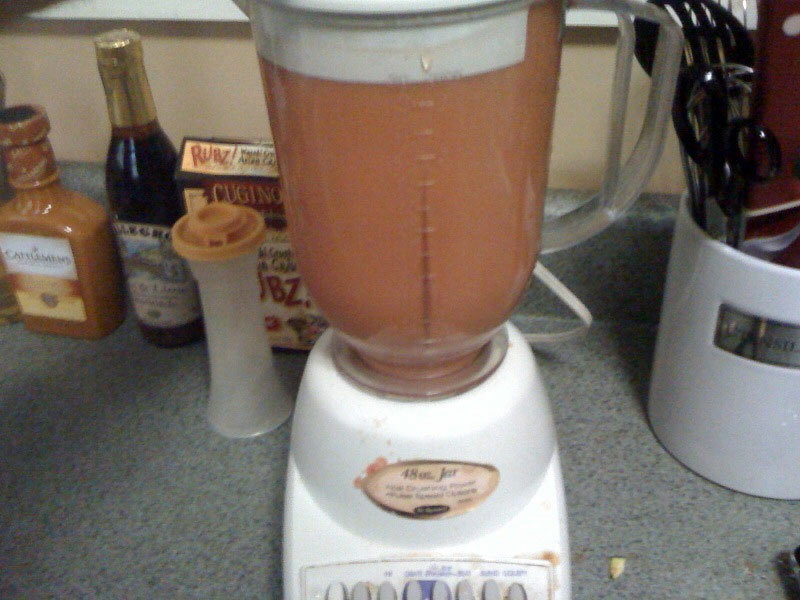 It was now time to start the sauce, I added the tomatos, garlic and onion to the blender with a little balsamic vinegar and water to get a nice puree. 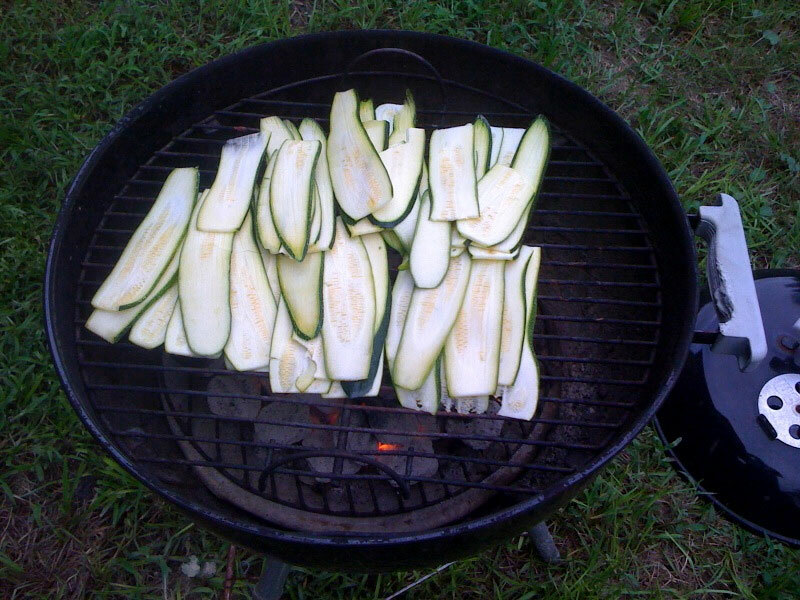 Not only did the grilled veggies smell amazing I was starting to feel like this was really going to work out. Silly me, by this time the drinking had begun and I neglected to take pictures of the full sauce process so you’ll just have to take my word for it. I added this to a sauce pan with a little red wine, oregano, salt, pepper, and a few other herbs that I had laying around and brought it to a boil. I then reduced the heat, covered the sauce, and let it simmer for a couple of hours, stirring fairly often. Because I was able to use dairy and eggs I made my normal cheese filling which you can read about on my Amazingly Bad for you Lasagna recipe post… I also filled each layer of lasagna with mushrooms, baby spinach, and boca crumbles just to give it a little texture. 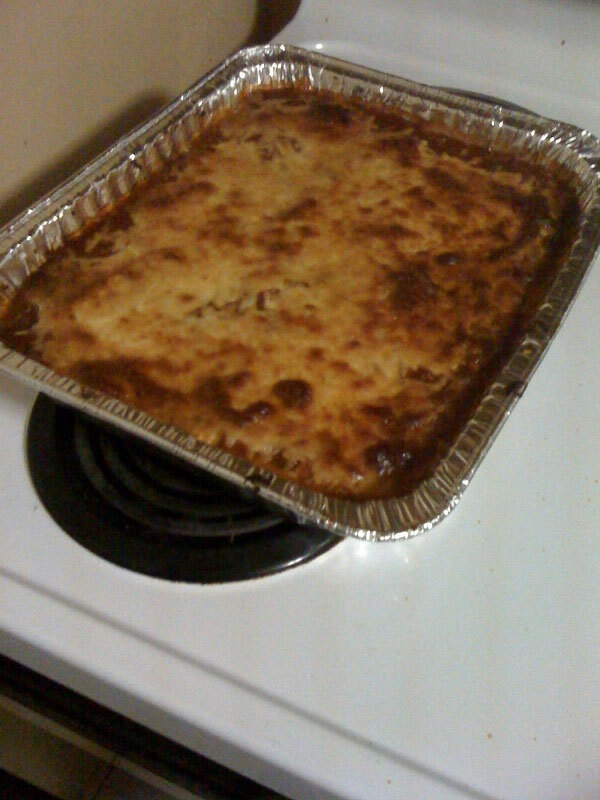 In the end, I couldn’t believe how good this lasagna turned out… It’s quite possible that I may like this even better than my orgina… wait no, that’s just stupid to even say but it was really good. Don’t believe me? Try it for yourself.